"Black Steel"® discs and linings? machined from a one-piece forging. APS "Black Steel" ® advantage. 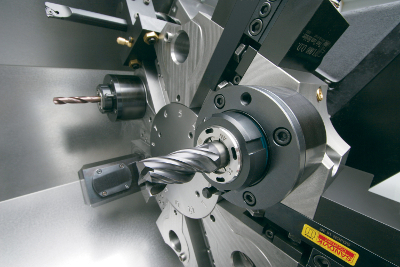 Our proprietary heat treatment has a two-fold purpose. The heat treatment strengthens the steel by bonding the carbon, oxygen and nitrogen in the top layer of the metal. This is not a coating that can wear off. The steel itself is transformed. The heat treatment gives the steel its aesthetically pleasing black appearance and provides a surface with a high resistance to the corrosion and oxidation associated with the extreme thermal cycling experienced in aircraft braking systems. This makes it an excellent choice for agricultural aircraft that work in a harsh, chemical environment, as well as anyone who leaves their plane outside for most of its life. APS discs are a good value. APS discs and linings generally cost less. When you consider the cost savings alongside the longer life, APS BlackSteel® discs and linings are a value you just won't find anywhere else. APS has a high standard of quality. In order to receive FAA PMA certification, APS brake discs and linings must go through a rigorous testing process. 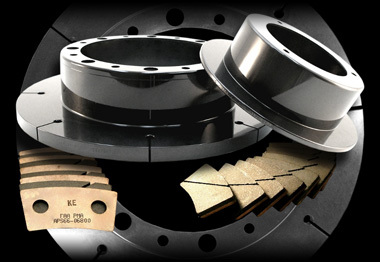 All APS brakes must meet or exceed OEM standards. 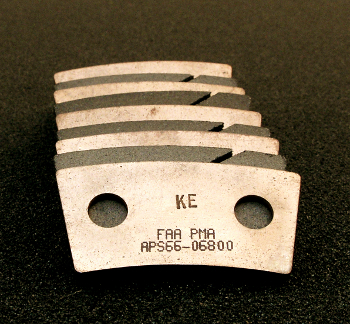 In every case of testing APS brakes exceeded the required standards for performance and reliability. APS discs and linings are dyno tested as part of the PMA approval process.